Tasuki is a very hot piece! Mmm! So delicious! Yey Tasuki! Thanks for sharing! I love this pic. Thanks so much. cool....i love tasuki in this pic! Tasuki! 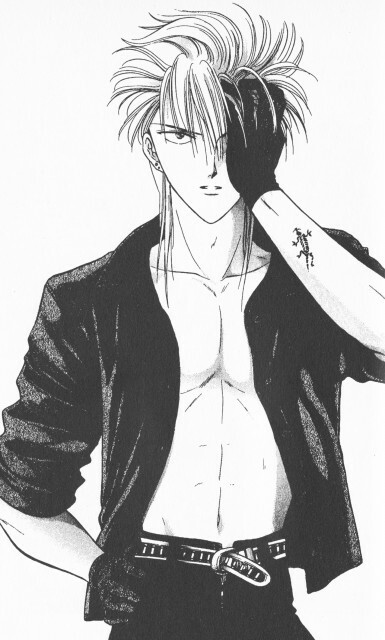 Yuu Watase is very nice to make sure she always gives us lots of great looking guys in her different series, haha. Thanks for the scan!